Click the session title for the abstract, slides or video. All available PDFs and videos from the event are posted below! Drools with Apache Camel: Rules! Drools 6.0 introduces new approaches for authoring, building, deploying and utilizing rules. In this keynote Mark Proctor will explain what a rules engine is and the capabilities of Drools. When Drools is combined with Apache Camel, you have an intelligent, powerful integration solution. Using convention and configuration, over programmatic APIs, simplifies the end user experience. This talk will take users through these new approaches and cover how to integrate Drools 6.0 with Camel. Mark Proctor received his B.Eng in Engineer Science and Technology and then his M.Sc. in Business and Information Systems; both from Brunel University, West London. His M.Sc. thesis was in the field of Genetic Algorithms; which is where he discovered his interest for anything AI related. For the last 10 years Mark’s focus has been on developing knowledge engineering systems in Java, while working for Red Hat as Platform Architect. Mark is the co-founder of the Drools project, the leading Java expert system tool. hawtio is a lightweight and modular HTML5 web console for managing your Java stuff. James will demonstrate how you manage and develop Camel based applications with the great new console. 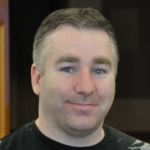 James Strachan has been an Apache committer for 10 years, was one of the founders of the Apache ActiveMQ, Camel and ServiceMix projects, created the Groovy programming language, Scalate, dom4j and Jaxen. Apache ServiceMix is an open source container combining features from Apache ActiveMQ, Camel, CXF, and Karaf to form a powerful OSGi runtime you can use to build your own enterprise integration solutions. In this session, Jon will discuss best practices for developing and running Camel-based integration solutions in ServiceMix. Live demos will be used throughout to demonstrate these concepts. Jonathan Anstey is a software engineer with varied experience in manufacturing control systems, infrastructure, and enterprise integration. Jon works on Apache Camel as a PMC member and as an active committer. He is also co-author of Camel in Action. This talk will focus on the acquisition and processing of massive volumes of telemetric messages. It highlights how Scala, Akka, Karaf, Camel and zeroMQ provides a high throughput switch for the handling of Big Data. It is based on a POC done for a large vehicle tracking company. Topics covered: installing Scala and Akka in Karaf; using the Camel-Scomp component for Apollo message queuing; and zeroMQ and protocol buffers for high volume input. Ian de Beer is a polyglot programmer with experience in languages such as Java, Scala, Groovy, and assembler. Current focus is on concurrent and parallel programming on the JVM using Scala. Asynchronous messaging is not only for enterprise applications. In recent years we have seen a boom in message broker usage in web and mobile applications. Developers exchanging messages with the broker directly from the web browser and mobile applications. This talk will deep dive into modern protocols like Stomp and MQTT, which provide an excellent platform for lightweight asynchronous messaging. It will explain what they bring to developers and how to choose the appropriate one for your use case. We will also discuss the usage of standard Web mechanisms like Ajax, WebSockets, REST and Web hooks on a messaging context and how to use them with ActiveMQ. Dejan Bosanac is a senior software engineer at Red Hat with deep expertise in messaging and integration. He is an active committer on the Apache ActiveMQ and related messaging and integration projects. Criminal justice jurisdictions consist of heterogeneous grouping of organizations run by elected officials and disparate groupings of agencies. At some level, they all need to talk together in order to keep things “speedy” The Hennepin County Public Defender’s office has adopted the Apache (Fuse/JBoss) integration stack in order to facilitate better client service. Jim Beyers’ responsibilities include supervision of IT staff (BA’s, developers, desktop support staff, data entry personnel), vendor management, development work, and architectural design. Integration testing is traditionally a challenge, especially when the target application crosses the boundaries of a single machine. In this talk Ioannis is going to discuss the challenges of integration testing and will walk you step by step from testing simple apps, to harnessing the distributed management capabilities of Fuse Fabric for testing complex distributed applications. Ioannis is a Principal Software Engineer at Red Hat and committer at the ASF to Apache Camel, Apache Karaf, Apache ServiceMix & Apache JClouds. This session will explore advanced topologies for using ActiveMQ in massively scalable environments. Hiram will discuss best practices for implementing highly-available, load-balanced, and broker-based routing. He will cover broker topologies, including failover and continuous availability with master-slave brokers and broker networks for scalability. 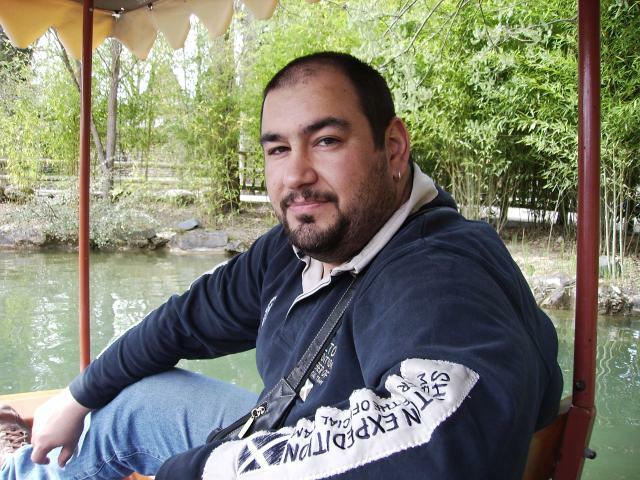 Hiram Chirino is one of the founders of the Apache ActiveMQ, Camel and Geronimo projects. He’s also created a number of of other supporting Open Source projects like Scalate, HawtDispatch, LevelDBJNI, and Jansi. He is an Apache Software Foundation member and the current PMC Chair for the Apache ActiveMQ project. This talk will provide lessons learned tips and tricks on how to better use Camel with your integrations solutions. Its targeted at intermediate to advanced Camel users. Attendees will leave this session with a deeper understanding of Camel awesomeness for no extra charge. Topics include structuring your routes for re-use, unit testing Camel, EIPs beyond content based router, using Camel with your existing Java code, transforming your data, error handling, and much more. Scott Cranton has worked with Apache Camel since its inception, and is transforming the lives of Red Hat customers by bestowing upon them the joy that is Camel and the benefits of his oft-revered technical prowess. Due to its robust mediation and transformation capabilities, Camel is considered an industry leader and first choice in many organizations as their primary integration API in the service layer. Those same capabilities make Camel a powerful client that can enable Dev Ops teams to create reusable and scalable service layer clients for use in the application layer. In this demo we look at how Camel can abstract away the complexity of low level transport and messaging protocols starting with the basics of Camel’s Producer and Consumer APIs. Then we will look at an example of abstracting away the low level Camel APIs by creating a reusable custom API project to deliver a reusable API. Finally we will cover creating a reusable service component to simplify deployment, management and configuration of our newly created reusable API. Scott is a member of the fraternity of Camel Riders as a committer on the Apache Camel Project where he is the key developer of the new Camel SJMS component, a pure Java JMS solution written explicitly for Camel. This presentation introduces you to an integration technology selection guide developed by the UPS Integration competency center. It will first disambiguate terms, concepts and definitions in the space of integration architecture, followed by explaining a four step technology selection process. It will show how this process is used to identify integration scenarios, delineate recurring design problems and map them to technology agnostic solution patterns. It will also cover three key integration architecture domains and five technology planning categories and explain how they form the core matrix of technology selection process. This presentation will also demonstrate use of the selection guide in a few integration scenarios. This session will teach you how to get a good start with Apache Camel. We will introduce you to Apache Camel and how Camel is related to Enterprise Integration Patterns, and how to use these patterns in Camel routes written in Java code or XML files. We will then discuss how you can get started developing with Camel, and how to setup new projects from scratch using Maven and Eclipse tooling. This session includes live demos that show how to build Camel applications in Java, Spring, OSGi Blueprint and alternative languages such as Scala and Groovy. In addition, we will cover other out-of-the-box features that make integration much easier. Before opening up for QA, we will share useful links where you can dive into learning more about Camel. Apache Camel is a versatile open source integration framework based on the Enterprise Integration Patterns (EIP) book by Gregor Hohpe and Bobby Woolf. Apache Camel implements the most commonly used integration patterns, resulting in faster integration solutions. Claus Ibsen has worked on Apache Camel for years and he shares a great deal of his expertise as a co-author of Manning’s Camel in Action book. He is a Principal Software Engineer working for Red Hat specializing in the enterprise integration space. Apache ActiveMQ is the most widely used message-oriented middleware that uses messaging to connect remote applications writen in Java,C,C++, Python,Perl, Ruby and many more. ActiveMQ is standards based and supports messaging protocols such as AMQP 1.0, WebSockets, Stomp, OpenWire and MQTT. Used from M2M to global enterprise deployments, this talk will cover the features, functionality and a demonstration of connecting everything! With 20 years experience of architecting solutions and developing products for large-scale distributed applications for telcos and finance, Rob is focusing on developing the next generation of open source middleware products for Red Hat. Rob was the co-founder and contributor to Apache ActiveMQ, ServiceMix and Camel. Apache Camel provides several different components that allow integrating WebServices with your Camel routes. They include components for raw SOAP via SAAJ, Spring WebServices, and Apache CXF. In addition, there are components for raw HTTP, Restlet, JAX-RS (via CXF), and others that may provide additional capabilities. This talk will present the various components and discuss some of the pros and cons of the options. In addition, some of the components (like the CXF component) has several modes of operation. We will also talk about the performance implications of some of those configurations. Dan Kulp is an ASF member and committer of Apache CXF, Apache Aries, Apache Maven, Apache WebServices, Apache ServiceMix and Apache Camel. Learn how to use Fuse Fabric and it’s management console to deploy Apache Camel routes to instances in a public cloud, covering tips, tricks and gotchas. He will also discuss how some of the new features in the hawtio web console to visualize, monitor and debug Camel routes and Fuse Fabric containers. Stan Lewis is the Project Lead for the Fuse Management Console and a committer on Apache Camel. This talk with cover the exploration of the Camel JPA component: motivation for using JPA component rather than ActiveMQ or JMS, issues with Hibernate and Oracle with optimistic and pessimistic locking, versioned and un-versioned entity objects, extending for Hibernate org.hibernate.LockMode UPGRADE_NOWAIT, and performance analysis. John Liptak has over 20 years of experience in the IT field with experience in the Java ecosystem for over 13 years. He is currently responsible for open source adoption for the whole company. We will present our experiences with developing an application using open source Enterprise Integration Patterns to integrate components of an air traffic control system. We will show the goals of the application as User Stories and Issues in the Agile Development Methodology. Most importantly, we will demonstrate how using the Apache Camel implementation of Enterprise Integration Patterns led us to a paradigm shift in the way we think of and design integration software. We stopped thinking of integration code in terms of classes and operations on those classes. Instead, we found it is more intuitive to think of software integration in terms of Camel routes, components, endpoints, and processors. This approach resulted in a flexible and extendable software design with a small code base consisting of Camel components and processors that can be easily reused in unforeseen ways. David Mattioli has been working exclusively on JAVA in a variety of projects involving Unmanned Air Vehicles, DARPA research programs, Navy Systems, and Air Traffic Control Systems. Kiran Chittargi specializes in large scale enterprise systems with a particular focus on Java and web based technologies, Cloud Computing and Open source technologies. Mike Pone works on air traffic control solutions based on the Fuse suite of products – ActiveMQ, Camel and ServiceMix. Dependency Injection (DI) is a standard pattern when writing code. OSGi offers a few possibilities regarding DI. Blueprint has been standardised by the OSGi Alliance and is one of the possibilities and Apache Aries project offers an implementation of this specification. This session will give a board overview of DI technologies in OSGi and a more detailed view of Aries Blueprint, including its use in non standard conditions such as without any OSGi framework. 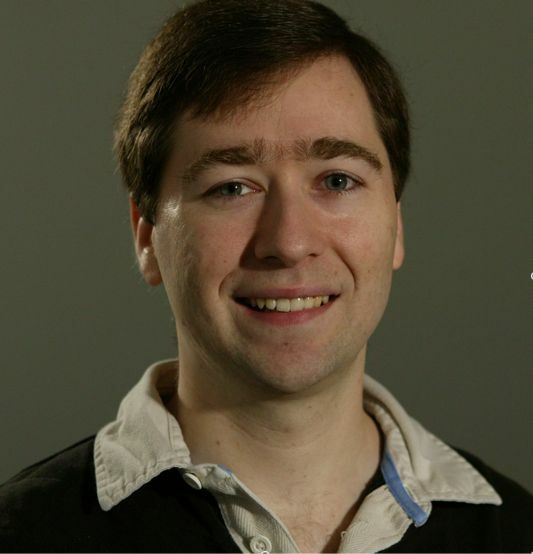 Guillaume is a Software Architect at Red Hat and a prolific contributor to open source. In this session, we will see the different ways to remotely use a route from another route. We will see the “classic” way using JMS (and ActiveMQ), but also some original way using Karaf Cellar and Hazelcast, DOSGi, REST, and others. Jean-Baptiste is an ASF member and committer of Apache Karaf, Apache ServiceMix, Apache ACE, Apache Archiva, Apache Kalumet, and Apache Camel. Come learn how ActiveMQ has established itself as the best option for enterprise messaging solutions and the clear alternative to IBM’s Websphere MQ. Many large organizations are now selecting ActiveMQ as their first choice for mission-critical projects and inves6ng in projects to actively migrate from IBM’s Websphere MQ. ActiveMQ provides a strategic business advantage to enterprises, as well as a superior technology feature set. From embedded, to multi-plaQorm, to cloud and on to Big Data—no other enterprise messaging option provides the technical capability and a#ractive Total Cost of Ownership as Apache ActiveMQ. Matt Pavlovich is co-founder of Media Driver, a consulting and services company that specializes in practical solutions utilizing the Apache Integration technologies—ServiceMix, ActiveMQ, CXF and Camel. Media Driver has successfully implemented the Apache Integration technologies in global and multi-national retailers, technology, telecommunications, health care and many other enterprises throughout the Fortune 500. Mat has been active in the Apache community since 2004. Middleware Security for Apache CXF, Camel, ActiveMQ and Karaf as well as others continue to be an ongoing concern especially around Authentication, Authorization, Data at Rest and Data in Transit. The session will include a presentation and demonstrations of implementing Authentication (AuthN) and Authorization (AuthZ) as well as other security topics. Kenneth is a member of the Organization for the Advancement of Structured Information Standards (OASIS) and the Object Management Group (OMG). He has worked on multiple standards including the Security Assertion Markup Language (SAML), the Advanced Message Queueing Protocol (AMQP), WS-Trust, the eXtensible Access Control Markup Language (XACML), the Security Content Automation Protocol (SCAP) and OpenID. Have you ever wondered how ActiveMQ works under the covers? Either as a way to help understand what options to tune or because you would like to contribute to the community but don’t know where to start? In this talk, I’ll cover some of internals of the broker features. Christian is a Senior Consultant at Red Hat specializing in developing enterprise software applications with an emphasis on software integration and messaging. My strengths include helping clients build software using industry best practices, ActiveMQ, Apache Camel, ServiceMix, Spring Framework, and most importantly, modeling complex domains so that they can be realized in software. I work primarily using Java and its many frameworks, but my favorite programming languages are Python and Scala. As Big Data projects typically cope with the complexity and variety of massive-scale data amount, types, and sources, a sophisticated structure is required to represent the core abilities and competencies to achieve the solution objectives. This talk presents a Big Data Capability Model (BDCM), which is defined as the key functionalities in dealing with Big Data problems and challenges. We will also walk through case studies to demonstrate the use of BDCM in real-world projects, along with best practices and lessons learned. Tony Shan is a renowned thought leader and technology visionary with decades of experience and guru-level knowledge on emerging technologies for pragmatic enterprise computing. Internet banking platforms within a Bank are an integration layer with a GUI on the top. Banks own multiple systems of record also known as “Host Systems”. These are usually legacy applications, often running on mainframes to manage accounts, loans, cards, etc. One of the key roles of any customer facing channel within a bank is to integrate these systems and collate this disparate information in a meaningful way and thereby presenting a one-bank view to the customer. In this session, we will discuss how we are using Fuse Mediation Router (Apache Camel) to replace homegrown integration code with an industry-hardened library to power the APIs for mobile banking. Using Camel has provided us with a host of benefits. In this talk we will demonstrate three benefit – testing, simplification and parallel processing. With a career in the IT industry for over 7 years, Rohit Sitani brings with him experience across multiple disciplines including consumer facing inter-banking applications, and responsive web platforms. This talk shows the smallest installation of a full fledged Enterprise Service Bus on the low cost ($40) embedded platform Raspberry Pi. After a short introduction to the Raspberry Pi I will show the challenges encountered during installation and the open issues still remaining. A live demo of a Camel-enabled digital photoframe shows the integration of twitter, email, http and java-beans with the photoframe. Another demo shows how to interact with Camel through an add-on board (Gertboard). The lessons and a Q&A session conclude the talk. Thomas is a freelance solution architect focused on healthcare integration with 15 years of healthcare IT experience. This sequel to an ApacheCon NA 2013 presentation goes even deeper into exploring ways of handling state and implementing stateful processes with Camel. Long running processes are nothing else but bursts of short running processes (Camel’s forte) followed by long waits. This talk demonstrates ways to leverage Camel and ActiveMQ to implement long running processes. 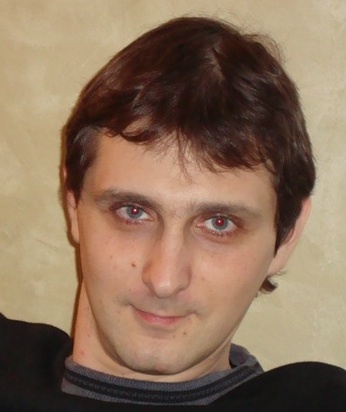 Hadrian Zbarcea is an ASF member and committer on the Apache Camel and Apache ActiveMQ projects. © 2013 Red Hat, Inc. All rights reserved. Apache, Apache ServiceMix, Apache ServiceMix, ActiveMQ, Apache ActiveMQ, Camel, Apache Camel, CXF, Apache CXF, ODE, Apache ODE, Geronimo, Apache Geronimo, XBean, Apache XBean, GShell, Apache GShell, Felix, Apache Felix, Karaf, and Apache Karaf are trademarks of The Apache Software Foundation.